If you need a full-sized pickup to tackle full-sized jobs, there’s plenty of trucks to choose from. But only one combines the value and reliability of a Toyota – and that’s the 2019 Toyota Tundra! Choose between double cab, crewmax, short-bed, long-bed, and 4×2 or 4×4 configuration to craft the perfect Tundra for the job. Throw in your choice between two powerful, yet fuel efficient V8 engines as well as a Heavy-Duty Towing Package which enables you to pull up to 10,500lbs. There’s no job too tough for the 2019 Tundra to handle! All new for 2019 is the SX package! The 4×4 double cab 5.7L SX adds a touch of agression to Tundra’s already bold presence with features like glossy black 18″ alloy wheels, black grille and colour-keyed bumpers. This is a great way to get a bit more of a custom look! Find yours today by browsing our New Vehicle Inventory, which offers a multitude of 2019 Tundras in a variety of trims and configurations. You can also find lightly-used examples in our Used Vehicle Inventory. Toyota believes that no matter the destination, everyone deserves to arrive safely. 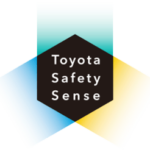 Toyota Safety Sense (TSS) offers an advanced suite of safety features standard on virtually all models for 2019. The Tundra is equipped with TSS-P which comes with features like automatic high beams, lane departure alert, pre-collision system with pedestrian detection, and dynamic radar cruise control. Toyota Safety Sense, just another way Toyota is helping to make safer roads for us all. To watch some informational video on these safety features click here. The 2019 Tundra is meant to tackle the toughest tasks, which is why it needs an engine to match. Toyota provides not one, but two powerful V8s. The first is a 4.6L unit which provides a sizeable 310 horsepower and 327 lb-ft of torque – more than enough for the majority of jobs. Need even more? Meet the 5.7L i-Force V8 with its 381 horsepower and 401 lb-ft of grunt – more than enough for jobs that would make other trucks turn tail. Just because the 2019 Tundra is a capable work-truck, doesn’t mean the interior should be as spartan as an outhouse. Every Tundra is loaded with niceties like keyless entry, a backup camera, Bluetooth connectivity, a 6.1-inch touchscreen, and even a windshield wiper de-icer! And of course, you can option up your Tundra with items like heated and ventilated front seats, a 12-speaker JBL sound system, and much, much more! Of course, like any good pickup the 2019 Toyota Tundra can be modified with a huge variety of parts and accessories to suit your tastes. From bed extenders and skid plates, to stunning wheels and hood deflectors – Collingwood Toyota has it all at competitive prices. Order Your Parts today!